About Us - JAIA SISTERS MINISTRIES, INC.
Emily Annette Pardue founded JAIA Sisters Ministries, Inc in 2002. 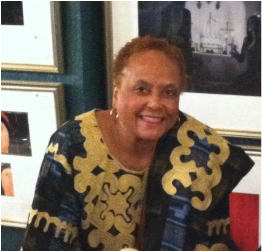 As CEO of Write To Order, Ltd., she is a published author, playwright, director, and choreographer. Her theatrical work has been performed across the United States and the Bahamas, in churches, schools, unions, and political arenas; and she has been called upon to lecture/teach in all of these arenas. Her first book, The Drama of Dance in the Local Church is about liturgical dance and the role it plays in the local church. Her second book, Notes from a Desert Place offers encouragement through the trying times we encounter. Dr. Pardue’s focus is Spiritual Formation, freeing saints and equipping them through seminars in Formational Counseling, Spiritual Disciplines, and Spiritual Warfare. She has been an adjunct professor in Practical Theology at Ashland Theological Seminary, as well as advisor for Doctor of Ministry Students. She has studied and ministered in the Bahamas, Jerusalem, South Africa, and Oxford, England. As a Spiritual Life Coach, she is certified as a mentor in Formational Counseling with the Institute of Formational Counseling in Ashland, OH. Dr. Pardue offers individual Formational Prayer sessions as well as small group in Formational Prayer, Spiritual Disciplines, and Spiritual Warfare. You may contact her on this site.